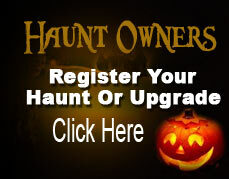 West Michigan's Premier Haunted Attraction for 18 years! The Haunt is West Michigan's premier haunted attraction now for 18 years. This year The Haunt is new from the top to the bottom, with a new owner, new location (1256 28th Street SW Wyoming) and all new scares. he Haunt is open various dates from September 15th through November 3rd, 2018.